You can pick up all of the traditional tax deductions from owning a rental property, hire your child to manage the place and use his net income to pay for tuition with little or no tax, while the rent the roommates pay can help pay the mortgage. When your child graduates in four years, and he will, right? Then you can either hang onto the rental and use it as a retirement home once its paid off, or you can do a 1031 exchange, deferring the tax on the capital gain so long as you buy another “like-kind” property, possibly in a location you prefer to retire to. Gene Rivers of Tallahassee, Florida, home to Florida State University and a handful of other nearby smaller colleges, is one of the truly outstanding real estate professionals in this country. Gene knows real estate and he knows the real estate business. So it’s no surprise that he is approached by 25-30 parents a year with kids going to one of the nearby universities who want to buy a rental property for their children to live in and rent a couple to some roommates. After all, Gene helped his own son buy a house that his son then lived in with roommates while going to college. 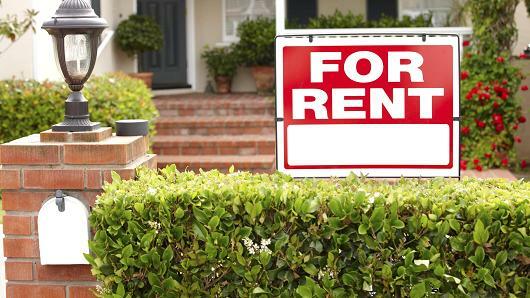 First, Gene says, the young college person has to be responsible enough to screen potential tenants or roommates, do a credit check if need be, sign agreements, collect the rent and not let the place fall apart. “Parents cannot be absentee landlords, Gene says. If your child is not the manager type that’s fine.” You just need to know that going into arrangement to avoid stress for your studying student and yourself. Know who the landlord is and what the responsibilities are. That’s what the critics thought anyway, but that is not how this still-nascent class of real estate is playing out. Instead, the big players are consolidating, which could make the stocks of those left standing potentially more attractive. The total number of single-family rental homes increased 35 percent since 2006, with smaller investors also taking on millions of distressed properties to rent. This happened as the nation’s home ownership rate fell to the lowest level in 50 years.